Are you relocating to Perth from Sydney or Darwin? Roadways Removals is there to assist you around the clock. Being regarded as the specialist Perth Removalists, Roadways Removals has been helping families and businesses to relocate to the city in the most trouble free manner and at the most competitive rates. We offer professional, prompt and reliable moving services of the highest standard to our esteemed customers regardless of the fact they are moving from Melbourne, Sydney or Darwin. All services are provided by professionals who possess sound experience of working in the furniture removalist industry and have completed many projects successfully. Our team will assist from the starting point of packing goods to the end point of delivering furniture items at your intended destination. Furniture is transported in a clean and well maintained fleet of moving trucks, designed in-house as per the standards of the furniture removalistsindustry. Customized services are provided by Perth removalists as per customers’ requirements and budget. Regardless of business size, the highest quality of services is provided on a prompt basis. So, get a great moving experience by availing moving services from leading removalist, RoadwaysRemoval. Feel free to obtain our quotes at any point of time as we rush to assist people on emergency call as well. Located between the Indian Ocean and the Darling Range, Perth once belonged to the hunter-gatherer Whadjuk Noongar people for over 40,000 years, and is now the capital of Western Australia, and the fourth most populated Australian city with nearly 1,700,000 inhabitants. The Economist’s 2011 list of the World’s Most Livable Cities ranks it in eighth place. This city is far away from anywhere, the nearest city being Adelaide, 2,104 kilometres (1,307 mi) away, making it the remotest city in Australia, if not the earth. It’s growth from the mid-1960s was driven by its role as the main service centre for the region’s mining industries. Residents of this city earn a living from non-core services. Sitting on the Swan River, famed for its native black swans, the city’s CBD is within a perimeter set by the Swan River on the south and east, Kings Park on the west, and the railway lines in the north. St Georges Terrace leads as the ‘high street’ of the area holding 1.3 million m² of office space, with Hay Street and Murray Street offering the best of shopping and entertainment. Perth Cultural Centre is an area in the centre of this city , collectively basing the Art Gallery of Western Australia, Alexander Library, Western Australian Museum, Perth Institute of Contemporary Arts and the State Records Office. The Perth International Arts Festival cultural festival is an annual event since 1953. Perth Concert Hall holds theatre, opera, ballet, and orchestra performances. The Black Swan State Theatre Company and the Perth Theatre Company promote the stage performances. Due to its remoteness, overseas artists often do not cover this city in their tour schedule, which has encouraged an ethnic music culture, and this city has become a seat of local rock music which has come to the notice of the WAMI Awards since 1985. Southeast Asians have migrated in Perth from Malaysia, Thailand, Indonesia, Singapore, Mainland China, Hong Kong, and India. It has the largest Anglo-Burmese concentration in the world, with a substantial Anglo-Indian community as well.This city cuisine serves all cultures, including Chinese, Japanese, Indian, Malaysian, Italian, Korean, Irish, and even Turkish. Many historic buildings are now luxury accommodation and upmarket food and beverage addresses. Perth’s transport includes trains, buses and ferries provided by Transperth. The Indian Pacific passenger rail service links the city with Adelaide and Sydney. Perth experiences a good wet season rainfall and hot, dry summers over Christmas into late March, February being the hottest. Winters from May to September are cool and rainy. 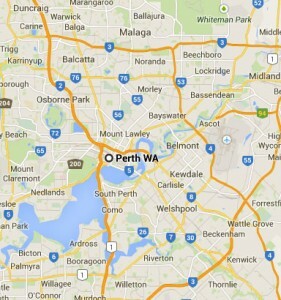 Call now to get professional Perth removalists.